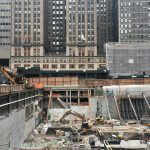 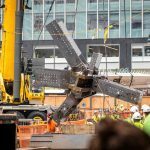 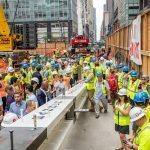 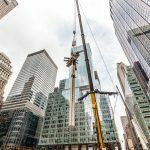 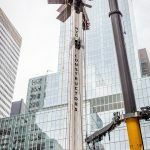 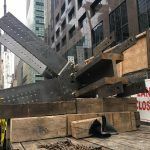 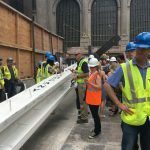 With the installation of its first steel column, One Vanderbilt, soon to be New York City’s second-tallest skyscraper, officially began vertical construction on Friday. 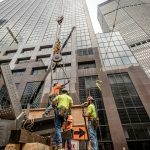 Banker Steel Company provided the 26,000 tons of domestically milled and fabricated structural steel for development, which included the first 20-ton column installed. 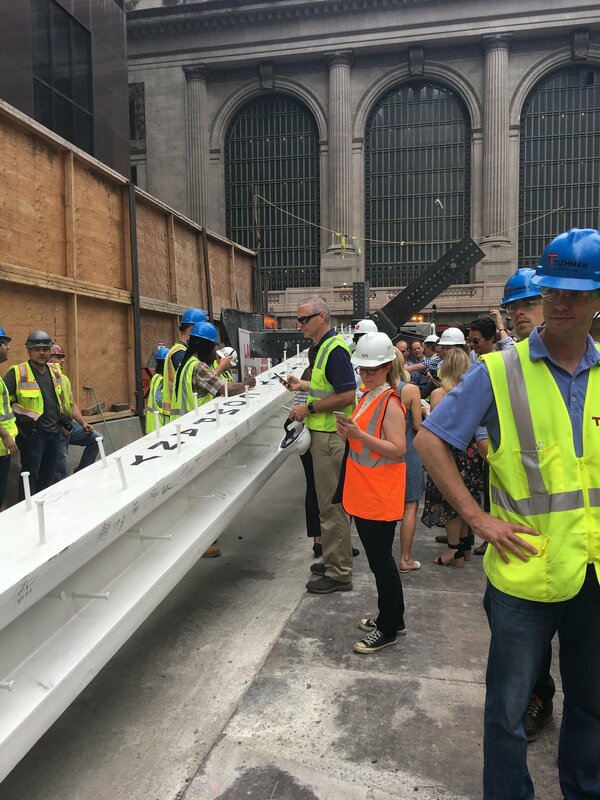 According to the team, the construction of One Vanderbilt is three weeks ahead of schedule. 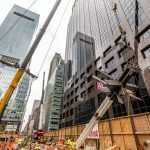 SL Green Realty and AECOM Tishman say the supertall skyscraper will add to the modernization of East Midtown’s business district, as the office building will boast column-free floors, floor-to-ceiling windows, and 360-degree views. 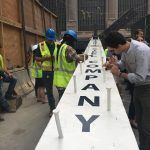 Designed by Kohn Pedersen Fox (KPF), One Vanderbilt will rise to 1,401 feet and span over one million square feet, with over 58 stories and a 30,000-square-foot amenity space for tenants. 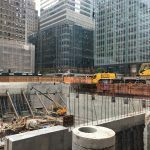 The skyscraper sits adjacent to Grand Central Terminal and will encompass an entire block, bordered by Madison and Vanderbilt Avenues to the west and east, with East 43rd and East 42nd Streets to the north and south. 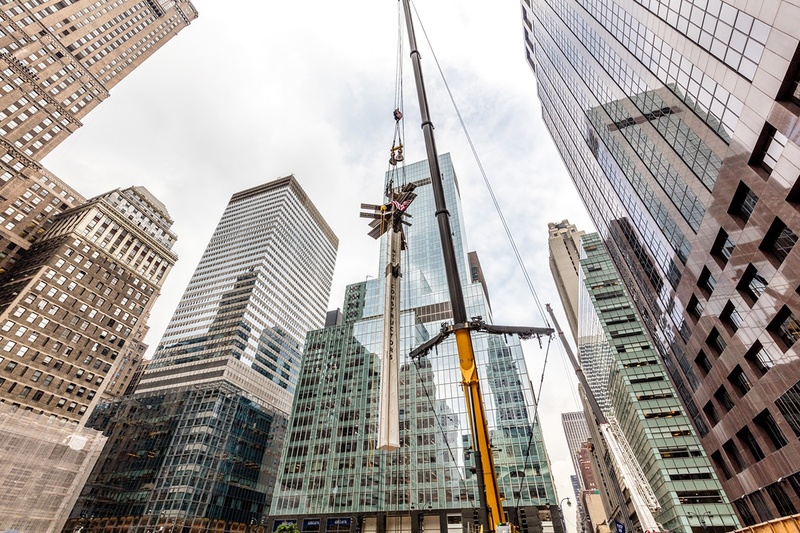 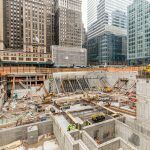 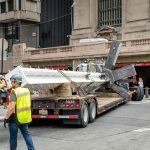 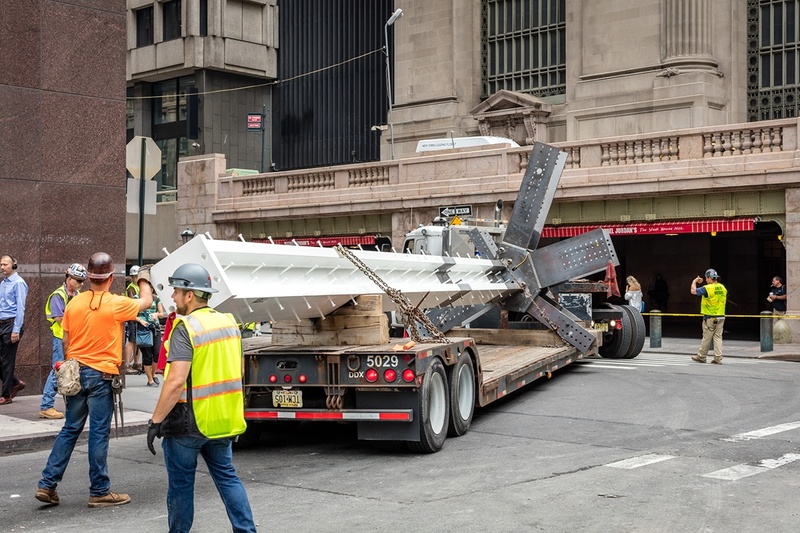 One Vanderbilt will include direct underground connections to the subway system, implementing $220 million in transit and infrastructure upgrades. 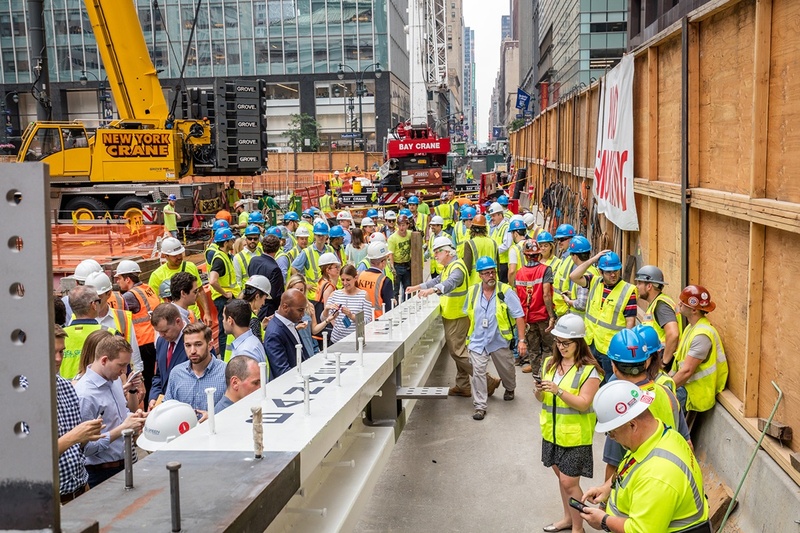 Managed by AECOM Tishman, the building’s $1 billion construction program utilizes 100 percent union labor. 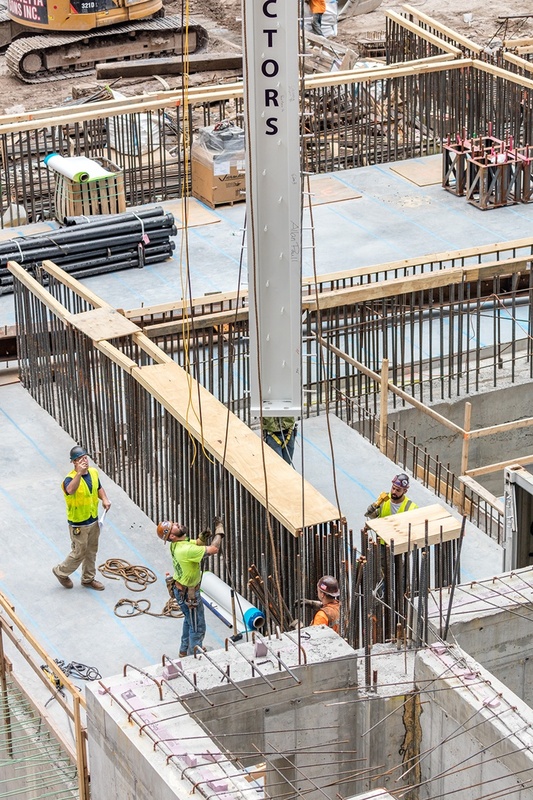 In total, the construction project is expected to create about 1,000 union jobs at its peak. 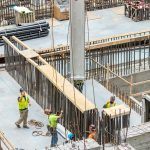 All steel provided by the Banker Steel Company was milled and fabricated in the U.S., at plants in Lynchburg, VA, and South Plainfield, NJ. 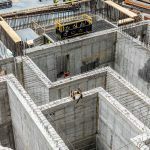 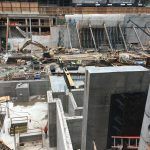 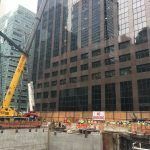 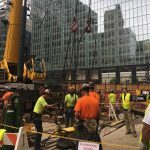 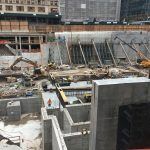 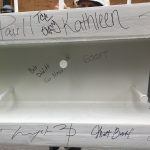 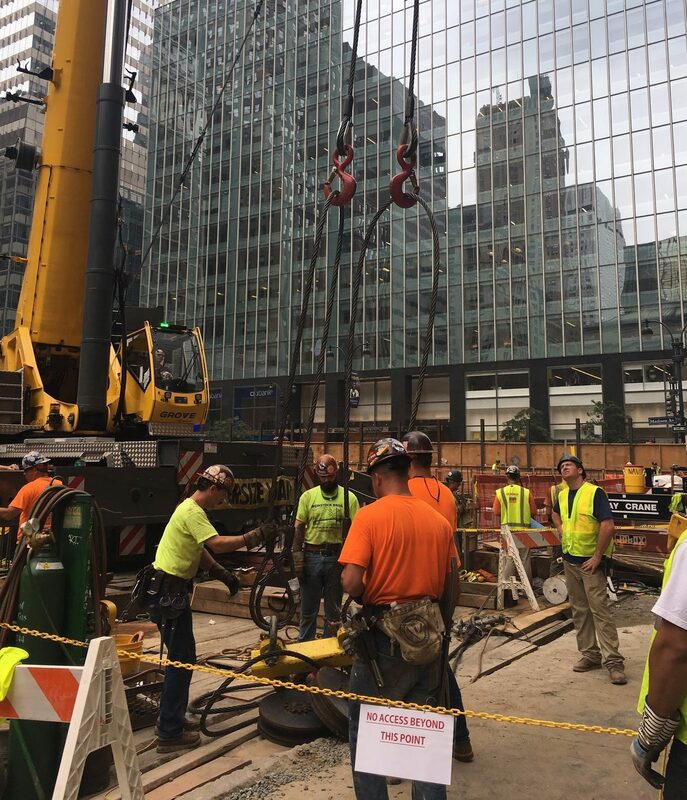 The tower broke ground in October of 2016, and in February had its 4,200-cubic-yard concrete foundation poured—the largest single pour recorded in the city’s history. 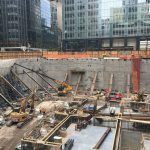 The excavation and foundations are expected to be completed in 2017, the transit improvements by 2020, and access to the East Side in 2022 or 2023.